There is still a chance for Gary Gardner to receive a new contract before the end of the season. The 21-year old midfielder is currently on loan at Sheffield Wednesday and has made 3 appearances. Paul Lambert has admitted that he is keeping an eye out for Gardner and if Gardner can make a few appearances for the first team before the end of the season, there is a good chance he’ll be offered a new contract. 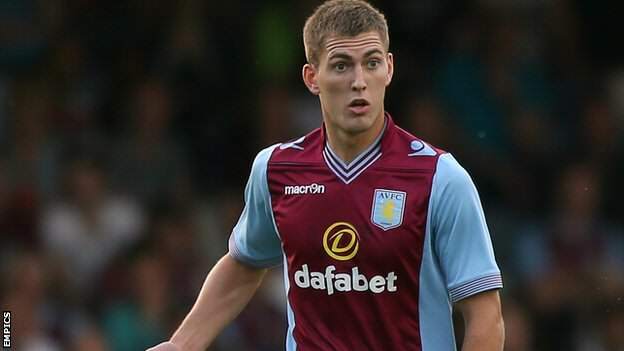 Gary Gardner’s career has been hampered with injuries and has been limited to 5 starts and 13 substitute appearances for Villa. Most of those appearances have been under Alex McLeish with Lambert only offered two substitute appearances for Gardner, at the start and end of the previous season against West Ham and Wigan. “There’s still a chance yes, but it’s hard for me to judge him when I haven’t seem much of him due to his injuries. “He’s had injuries where it’s been long term, with his cruciate then his back. “The thing about Gary is he’s a really good kid, really nice guy and a really top lad that wants to do well. We have to keep looking at him over the next few months. “There is scope for something. I’m not dismissing it. I just need to see the progress that he makes when he’s out playing. Gardner will be returning from his loan in a week time, he’ll then have roughly 10 games to make an impression on the manager. Can he do it? Maybe, I reckon he’ll get the nod ahead of Sylla who has endured a terrible season. El Ahmadi rarely finishes a game so Gardner will probably come in for El Ahmadi. Do I want Gardner to succeed? Definitely, there’s been a lot of hype over the years in regards to Gardner and now is his chance to justify the hype. I reckon he played well under McLeish, but he needs to play really well under Lambert right now! If Gardner does become a free agent, I’m sure there’d be plenty of teams interested in his services. This kid showed lots of promise until he was injured, deserves another go and I’d love to see him stay. But you know what the bottom line is, imo? He hasn’t produced and he’s probably far too expensive, wages-wise at his level and the only way we’ll sign him up is if he takes a massive cut in wages. It’s as simple as that when you know nothing about footy and money rules everything. It’s why we won’t be spending anything decent on individual players in the window. I do believe I’m beginning to see the light about how the club is being run in the future and it isn’t bright. Of course, I’ll wind my neck in and apologise if I’m proved wrong. As for Lambert, I quite simply don’t believe a word he says these days. When I can hear/understand them, that is. NZog won’t play this season? Correct on my part. Let’s see if I’m right about this one, eh? Yeah, his 5-10k wages are far too much for Villa. He should be on no more than 500 pound a week, cause you know, that’s how much everyone else is on. Oh your posts on how much Villa spend on transfers/wages always makes me laugh. If you’re talking about “everyone else” as those of us in the real world, then you’re correct and I’d totally agree with you. But if you’re talking about the footy world, you’ve got to be joking. I’m glad my posts make you laugh. Let’s see how much you’re laughing when we get relegated, which we surely will at some stage if we don’t compete wages-wise.